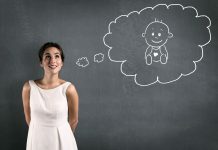 Staying cool during your pregnancy is important, not only so that you don’t lose your mind, but also for your health and the health of your baby. But you want to maintain a healthy body temperature naturally, and here are some of the simplest, lowest-cost, and natural methods for doing so. One of the safest and easiest ways to stave off the heat in the middle of a summer pregnancy is to go for a swim! You don’t have to move around a lot to release that heat – just sit in the cool water and let the surrounding liquid do the work of mellowing out your body temperature to a more manageable level. Swimming in the local pool or the ocean are both great options, but if you don’t have a facility available to you, try cooling off in the bathtub or by taking several cool showers throughout the day. What you wear will have a big impact on how cool you feel. A simple and low-cost way to stay cool during a warm pregnancy is to dress for the heat so that you won’t be suffering under layers of heavy fabrics. This can mean choosing lightweight textiles such as cotton and hemp. Be sure that the fabrics breathe naturally so that you’ll cool through them. Synthetics tend to be less breathable, and are not recommended during a hot pregnancy. Cooler clothes will also help to prevent heat rashes, which are never comfortable while you’re making a baby. If you’ve ever watched kids enjoy the coolness of a spray park, you know how refreshing it can be to be misted with cool water on a hot summer’s day. This is also true for pregnant women, and although you may not want to trek out to the nearest spray park to get cool (although this would certainly work! ), you can stay cool by misting yourself with cool water anywhere you are. Just fill a spray bottle with water (add some natural aromatherapy if you wish) and spritz yourself to provide a kiss of moisture that will help you to cool down. Mid-day sun is particularly challenging during the hot summer months, and should be avoided as much as possible while you’re pregnant. Whether looking for a way to exercise or you’re walking to work, try to choose paths and locations that are shaded and travel during cooler times of the day. Getting outside is important while you’re pregnant (and after the baby arrives), just be smart about how much sun you get. Especially be careful to avoid vigorous exercise in hot weather while you’re pregnant to stave off heat exhaustion. 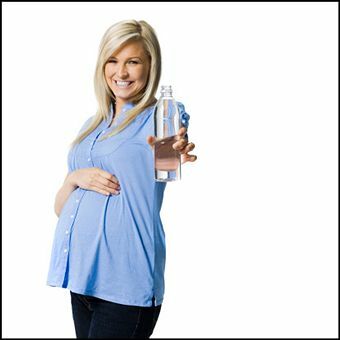 You need to stay hydrated during pregnancy, not only for your health and the health of your baby, but also to help you regulate internal body temperature during pregnancy. Drinking fluids helps your body have enough liquid so that you can sweat, and we all know sweating helps to keep you cool. You should be drinking about one glass of water every hour. It can be flavoured with fruit juices or may even include electrolytes if you’re outside or exercising. Try to stay away from caffeine and salty foods as well, which will prevent your body from staying cool naturally. If you need a quick fix for the heat, try wrapping some ice in a washcloth and applying it to your forehead, back of your neck or ankles – places where your body typically gets rid of heat. This may also help to reduce swelling in your feet and ankles as well as in your hands. You may also want to chew on ice cubes to help soothe a hot body. This one is a no-brainer, but sometimes so simple that we forget. Whether it’s a ceiling fan or a desk or floor fan, being in front of a moving stream of air will help you cool of quickly. Although the moving air won’t change the air’s temperature, it will speed the body’s cooling mechanism by taking the air heated by your body away from your skin, helping you feel cooler quickly. To add a real cooling boost to this technique, run a damp cloth over your skin while sitting in front of the fan for an extra cool feeling. Again, this one is really simple, but highly effective. Your body will get rid of heat out of your neck and head, so having your hair up and out of the way will help your body get the cooling done quickly and efficiently. You may even want to sweep your hair up with a water-soaked bandanna or headband to really amp up the cool factor. Have you ever noticed how cats and dogs will seek out hard surface floorings to cool off in the summer? You can do the same thing by finding the coolest spot in your house and making contact with as much surface area of your body as possible. Tile, hardwood, and concrete are particularly effective, but lino can also work. The basement is an ideal location for finding a cool surface and should be a great hideout for a bit of rest, too.